Even the toughest woman hides a secret little romantic place in her heart. 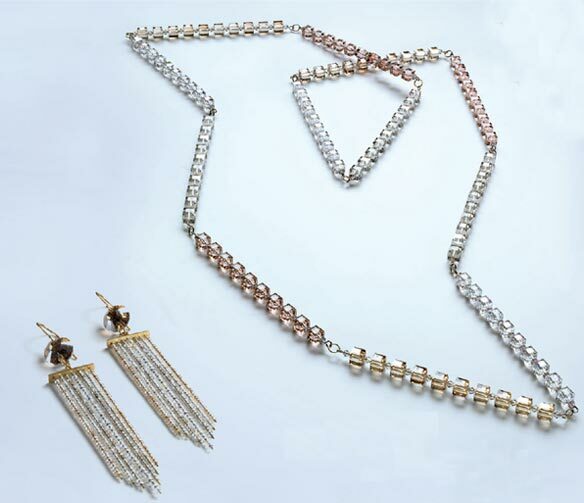 Her inspiration is the simplicity of Classicism and the Art Deco Style. The modern muse is romantic without mawkishness and plays with her artistic abilities. 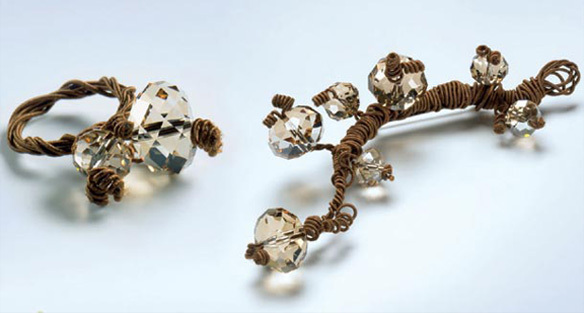 Her preferred decoration is a refined and abstracted ornament of a natural tendril accented by CREATE your STYLE™ with Swarovski. Like a symbol of antiquity which remains restraint in color and longs to be sophisticated at the same time, the dark brown textile coated wire gives the impression of rusty metal ornaments. The somber textile contrasts with the transparent, twinkling crystal beads allowing them to shine even more like delicate blossoms. In an environment that is overloaded by impulses, information and possibilities, women are once again demanding sobriety. Hand in hand comes the urge to return to exemplary simplicity and uniqueness. CREATE your STYLE™ reflects this trend using classical ornaments that come in straight lines loosened by the crystal sparkle. The crystals create outlines that appear like clear and defined surfaces--distinguished by the tonal color combination and the elegant golden section. In a perfect balance it comes out as the results of personal aestheticism and style. View the instructions on creating the Golden Night Earrings above. The clever interpretation of simplicity is as modern as it is timeless. It is one style with various interpretations--one time androgynous and aloof; in the next moment feminine and seducing. CREATE your STYLE™ with Swarovski allows endless variations. One is a necklace dominated by the clear cut lines of sculptured crystals accentuated by spiky leather ends.The other necklace is playing with draped volumes cajoling around the neck.